To our amazing customers old and new, we wish you a Happy Memorial Day this year! How do you and your family plan on celebrating Memorial Day weekend? Memorial Day provides us all with an opportunity to enjoy a long, relaxing weekend expressing gratitude for the sacrifices made by thousands for the sake of our freedom. The true spirit of the holiday is in remembering those who fought for freedom. It has been a cornerstone of American life for decades, and we’re fortunate to have those who are willing to die for what we believe in. Memorial Day is an excellent opportunity to look back, and also the perfect to be thankful for everything we have. There are many who worked hard to get us to where we are today. We should continue to work hard ourselves to honor their sacrifice! We'd like to say thank you to all those who serve and protect our country. If you're planning a move this Memorial Day weekend, why not let us help you carry the load? 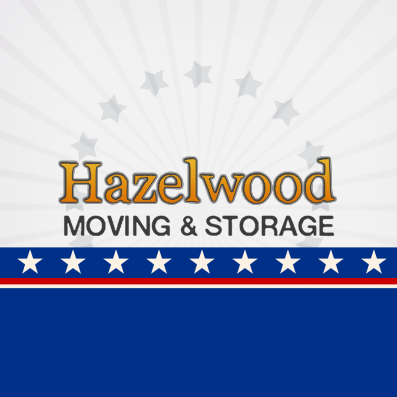 Rely on Hazelwood to get the job done whether you are relocating to Santa Barbara, moving across town or across the country, or relocating your business. We will perform an in-house survey, assess your moving needs, and provide you with a written cost quotation. If you are relocating a senior citizen, Casey McCann is a Certified Relocation & Transition Specialist. We have every type of moving supply you need to protect your belongings. Our professional drivers will arrive on-time every time. Your furniture is carefully packaged and moved to prevent damage. If there is ever any type of problem, you can call us and talk to a member of the McCann family. If you need to store some of your belongings during the move our McCann Mini Storage has over 400 units ranging in size from 5X6 to 20X20. If you know anybody seeking a moving company, or planning on moving soon, do them a favor and forward them this email. From all of us at Hazelwood Allied, we wish you a very Happy Memorial Day, and we hope to hear from you in the near future! About Hazelwood Moving and Storage - Customers refer to Hazelwood Allied Moving and Storage as one of the most professional movers Santa Barbara has to offer. Santa Barbara businesses and home owners rely on the full-service relocation company to handle everything from family heirlooms to rugged business equipment. 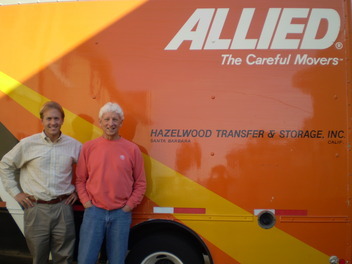 Owned by the McCann family for over 41 years, Hazelwood Allied moving company in Santa Barbara has maintained a commitment to quality and customer service. Visit the website and Facebook page or call 800-541-5958 for more information or to schedule a complimentary move analysis.